Today, there are more options of wedding bands available for upcoming brides than ever before. Many women want to wear something traditional and classic, yet absolutely gorgeous. 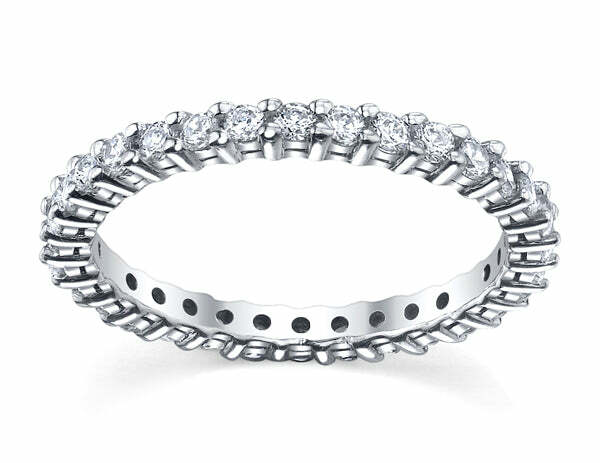 The ring that encompasses the best of all worlds is an eternity bands ring. These traditional wedding band designs come in various carat weights so that you can add just the right amount of sparkle to your wedding set without overpowering your engagement ring. Which diamond cuts is your favorite for these dazzling rings? The princess cut eternity band is one of the two most popular types of eternity rings worn as wedding bands. The most popular setting for these types of rings is the shared prong setting because this setting showcases more of the diamonds and less of the precious metal. We offer four different diamond cuts in these settings; round brilliant, princess cut, cushion cut, and asscher cut. 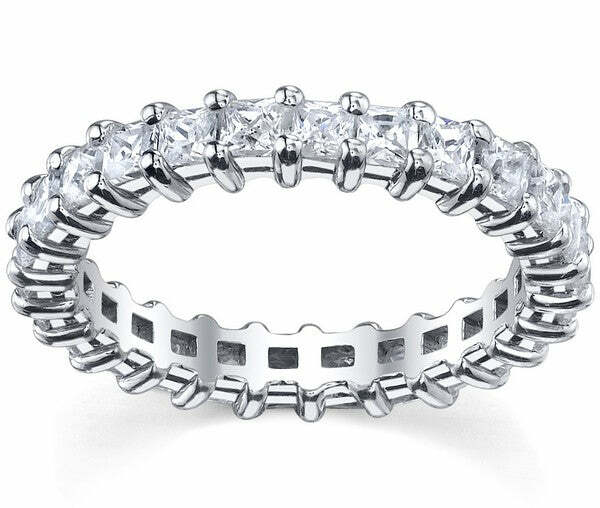 Round cut and princess cut eternity band rings are the two most popular styles. This is most likely due to the fact that round and princess cut diamonds are also the most popular cuts for engagement rings. If you would like assistance in finding the perfect wedding ring to accompany your engagement ring, please do not hesitate to contact our GIA graduate gemologists. They are available to answer any of your questions as well as find the ring with the right setting style and carat weight for your engagement ring.